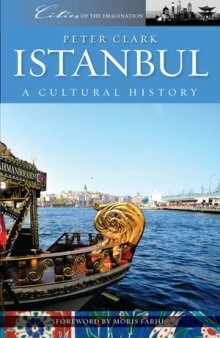 Byzantium, Constantinople, Istanbul: these are only three names that have been given to the city that straddles two continents, was the capital of two multinational empires and is today a vibrant commercial and artistic city, the largest in Turkey and, after Moscow, the largest in Europe. After the collapse of the Ottoman Empire nearly a century ago, it played second fiddle to the new capital, Ankara, but in the last twenty years it has enjoyed a renaissance as an exciting international city–appropriately European City of Culture in 2010. With its location as a port, Istanbul has always absorbed ideas, people and styles from north, south, east and west. Insofar as it has been multicultural, it has been a microcosm of the world. Peter Clark looks at some of the representative personalities of the Byzantine and Ottoman Empires and argues that these states had more in common than ideology-driven accounts may suggest. We learn about Spanish-speaking Jews, unexpected Ottoman connections with Poland, contemporary Islamist politics and the feverish support for the three major Istanbul football teams. Both Trotsky and Pope John XXIII spent important years of their lives in the city, and this book assesses the impressions of others who have passed through. Neither standard guide nor conventional history, this is rather a celebration of an extraordinary city, reviewing its imperial histories and exploring some of its lesser known corners. * City of Water: the Golden Horn, the Bosphorus and the Sea of Marmara; offshore islands and spectacular bridges; Ataturk and his yacht Savarona. * City of Architecture: mosques and minarets; palaces and towers; the extraordinary eclecticism of Istanbul’s Belle Epoque period. * City of Politics and Literature: Constantine and Justinian; the Ottoman Empire and its decline; Lord Byron, Disraeli and Thackaray; Orhan Pamuk and the modern city. Peter Clark has known the city since the early 1960s and is a regular visitor. He is a writer, translator and consultant and worked for the British Council, mostly in Arab countries, for thirty years.